It’s an evening of fun, good food, open bar, live music, silent and live auctions, and (for those of you who partake) all the local oysters you can eat. 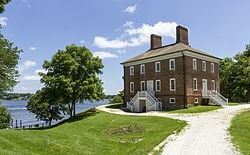 Venue: Historic (1750) Londontowne Publik House on the South River. Again this year both you and BCYC will be recognized as sponsors. That gets you a discounted ticket for just $45 (a portion of which will be tax deductible). By water: Rendezvous in Almshouse Creek (38° 56.460 N; 76° 32.825 W): After entering South River, continue up-river from red flashing “4” about 3.8 nm, then turn left BEFORE green flashing “15” into Almshouse Creek. Rear Commodore Chuck Kahle will be monitoring VHF 68 for those who are coming by Sea. Register: though the BCYC website by Monday, May 6. Admission is by a list of names at the door—so please add the name(s) of any guest(s) you plan to bring.